SCUDERIA FERRARI CLUB is a not-for-profit consortium company founded in 2006 by Ferrari S.p.A. in order to coordinate the activities of the many FERRARI Fans who are members of Clubs around the world. Today the Company has over 200 officially recognised clubs in 20 countries. A wonderful mix of different nationalities, cultures and lifestyles united by a mutual abiding passion for all things Ferrari. By joining one of the OFFICIAL CLUBS, fans become part of a large family that, under the prestigious Prancing Horse emblem, allows them to take advantage of countless services and exclusive opportunities. 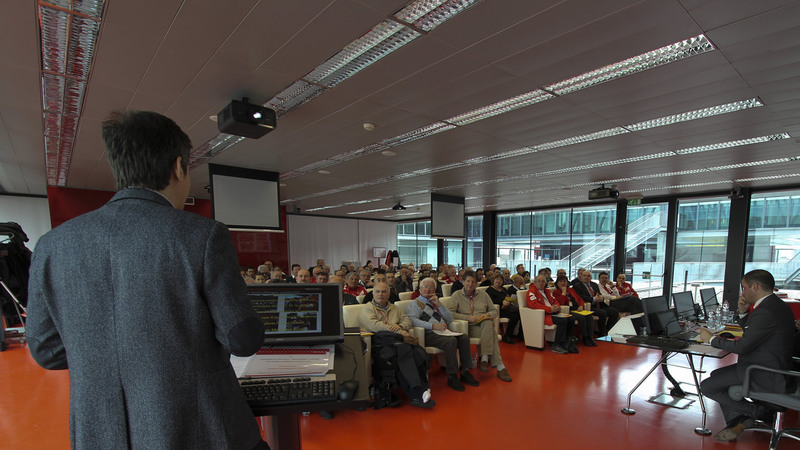 These include participation in meetings with drivers and the Formula 1 team, Maranello Factory Tours, access to a reserved stand at the Italian GP, a reduced entrance fee for the Ferrari Museums in Modena and Maranello, and free access to the www.ferrari.com community for live news about the Company and sporting activities. 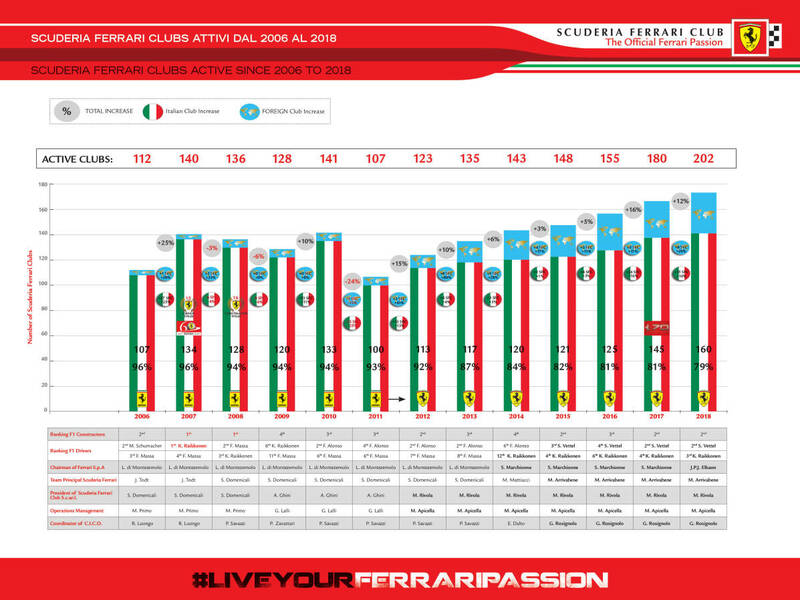 Since 2006, the Scuderia Ferrari Club has been led and managed by prominent Prancing Horse names. The first was the former Team Principal of Scuderia Ferrari and current President and CEO of Lamborghini Stefano Domenicali, who then passed the baton to the Director of the Ferrari Museums Antonio Ghini and to the current President, the head of the Ferrari Driver Academy Massimo Rivola, assisted by Coordinator Mauro Apicella since 2012. After graduating from the University of Bologna in Economics and Business, in 1998 Massimo Rivola began his F1 career at the marketing office of Minardi, based in Faenza. In 2000 he became team sponsorship manager and two years later was appointed marketing manager. In 2003, still at Minardi, he became deputy team manager and the following year sporting director. He stayed in that role until 2008, thus even after Minardi became Red Bull Racing, later named Scuderia Toro Rosso STR. 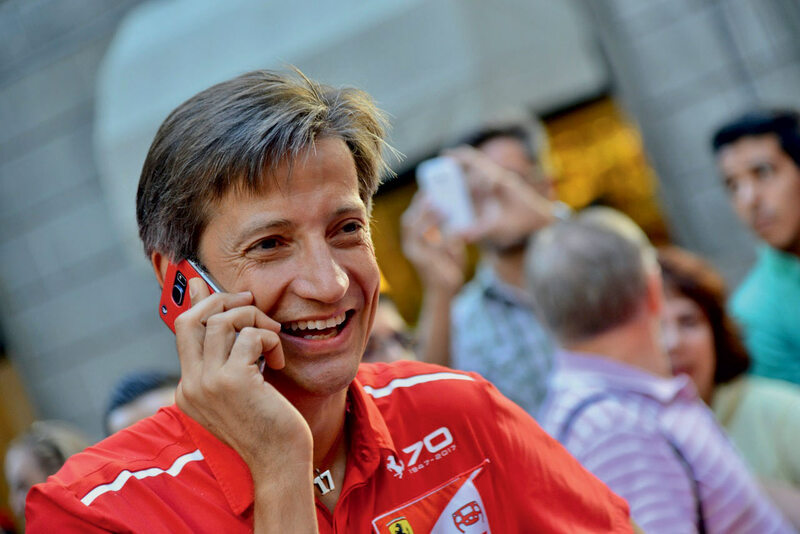 In 2009, he fulfilled his dream of joining Ferrari, where he held the position of sporting director, left vacant by Stefano Domenicali, following his promotion to Team Principal. Since 2011 he has been President of Scuderia Ferrari Clubs and thanks to his achievements for the Club, his three-year term was unanimously renewed in 2014 and 2017. 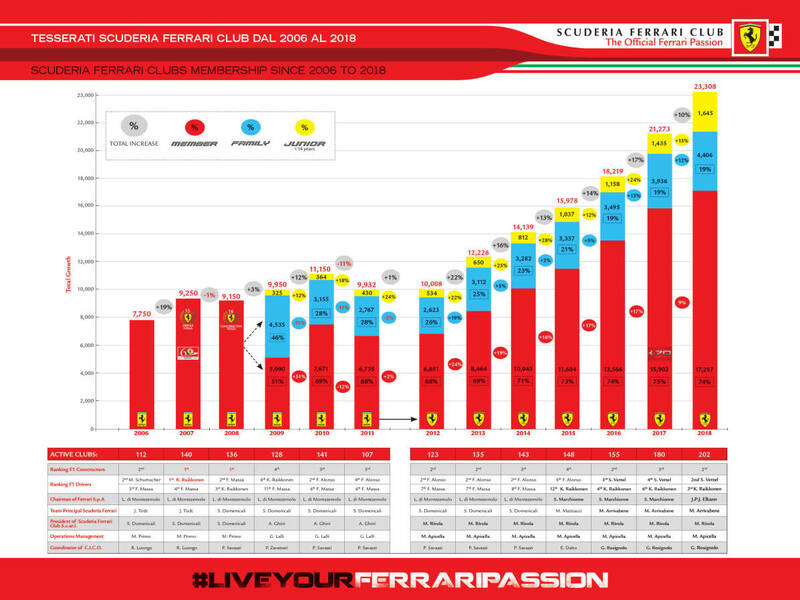 Under his presidency, Scuderia Ferrari Clubs have undergone a radical transformation. They have more than doubled their membership and are now present in 20 countries around the world. In 2016, after 18 consecutive years of F1, spurred by a great professional challenge and in agreement with the Company – also in consideration of the excellent reorganisation work carried out with the Scuderia Ferrari Clubs – he decided to “abandon” the pit wall to oversee the renewal of the Driver Academy. 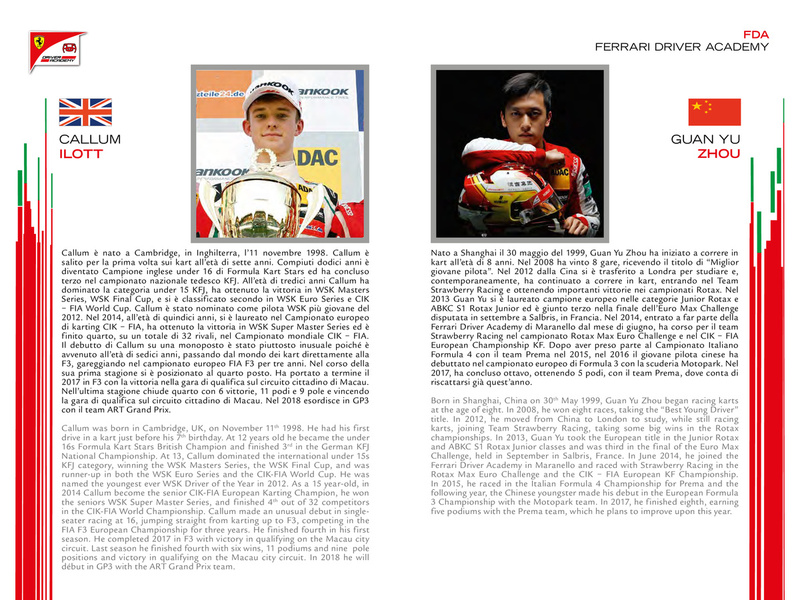 The aim is to train new F1 champions, encouraging the young drivers to meet their everyday challenges full on. The Academy wants them to do more and better, to be loyal, altruistic, more committed and determined to achieve their aims, always focussed on healthy goals, choices and aspirations. 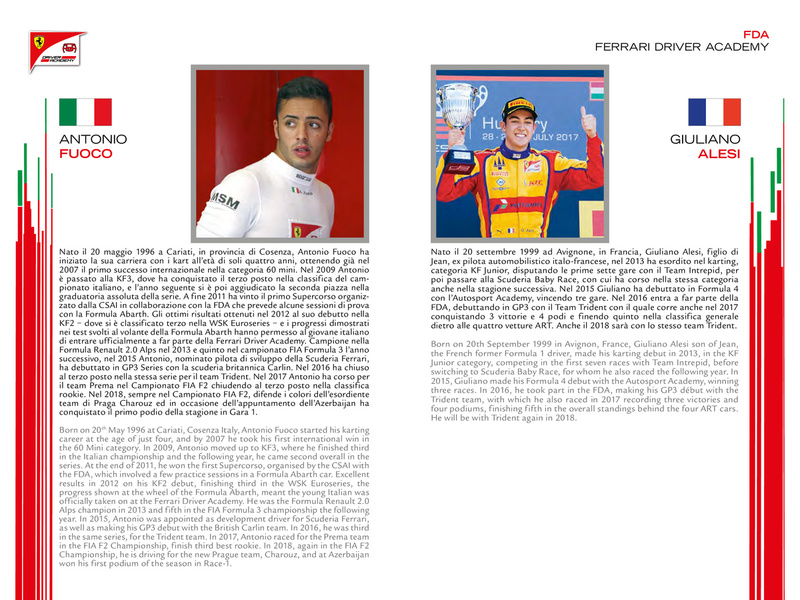 After unearthing young talents who then became World Champions like Sebastian Vettel and Fernando Alonso – just to name a few – now is the time to try to develop the World Champion of tomorrow. 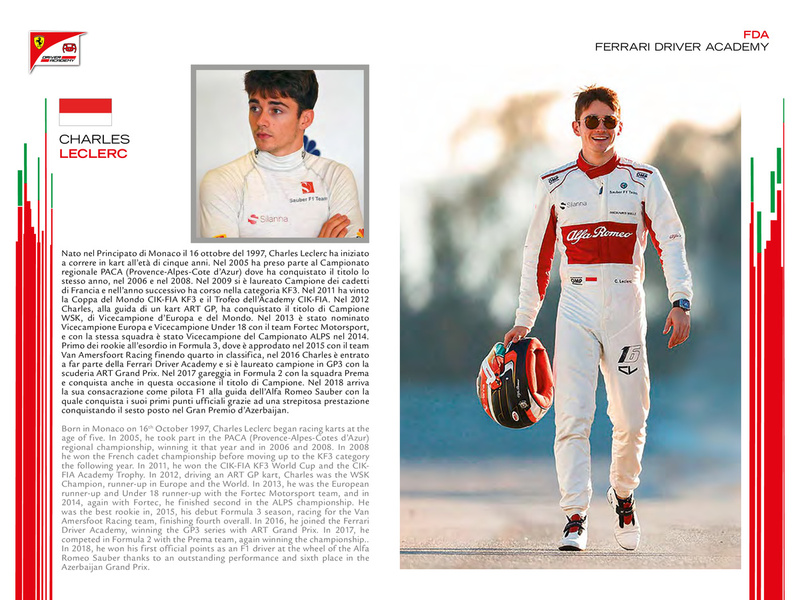 The results are already clear after the first two seasons, with the victories of Monaco’s Charles Leclerc first in the GP3 championship and then in F2, which led him in 2018 to debut in F1 at the wheel of the Alfa Romeo Sauber. 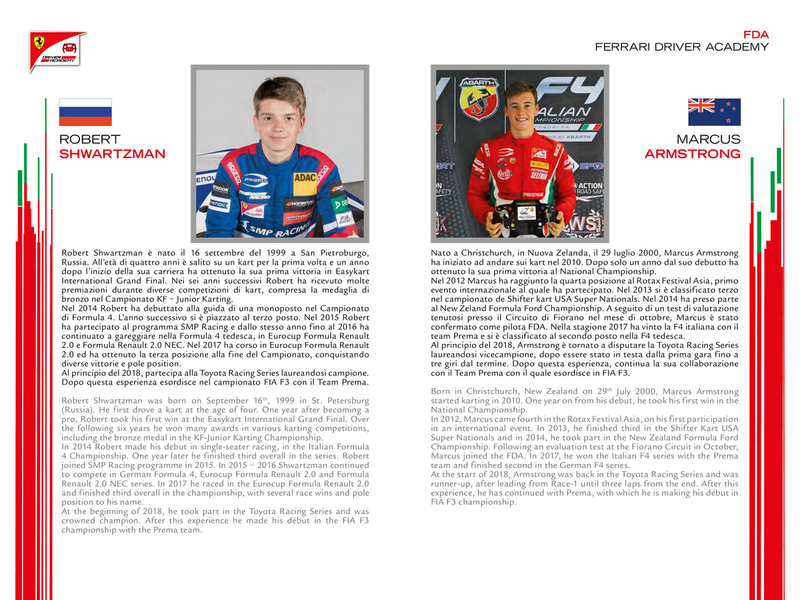 Expectations are again high for 2018 in all the championships in which FDA drivers appear…. Another major figure in the reorganisation of the Clubs, Mauro Apicella, is part of the Team that supports him in this exciting challenge. A young man who is already in his 13th year at Ferrari. From a very young age Mauro Apicella showed a great passion for Ferrari, so much so that he persuaded his parents to take him to some Grand Prix races even before his 10th birthday. Carried away by his excitement and dreams, he immediately decided that his passion would one day also become his job. At 18, after graduating in accountancy, he moved to Milan to study Marketing and Communication at IULM University. He spent his final year in Madrid as an Erasmus student and on returning to Italy, began to think about his thesis. 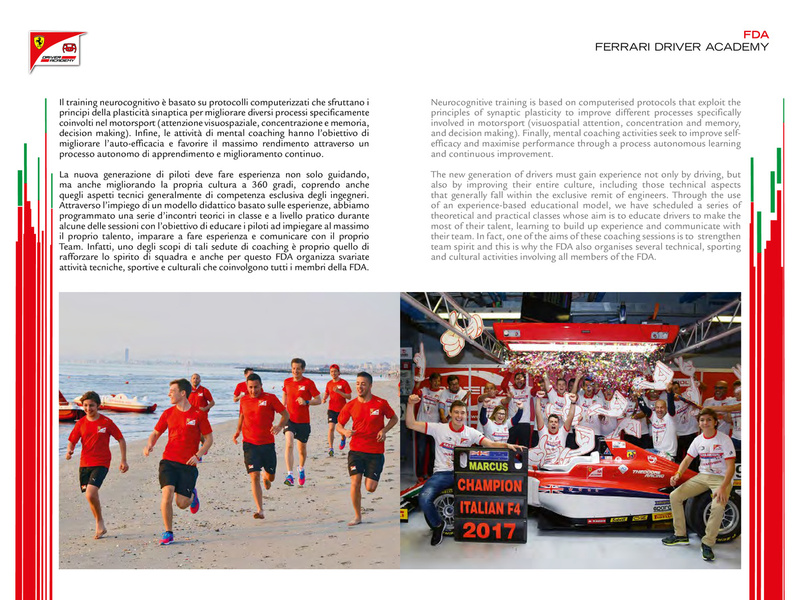 Given that his childhood dream had continued to grow, he based his project on Ferrari communication and – to write the best possible paper – contacted the Company, which offered him an internship in the communication office. In December 2005, he officially began his work experience at Ferrari. In March 2006, he graduated with top marks and accepted an offer from Ferrari to continue with the company. In November 2006, he was offered a contract with Ferrari Owners Club Italia – the exclusive Club for Ferrari customers. Subsequently, he held various positions within that club and became its head at the beginning of 2008. 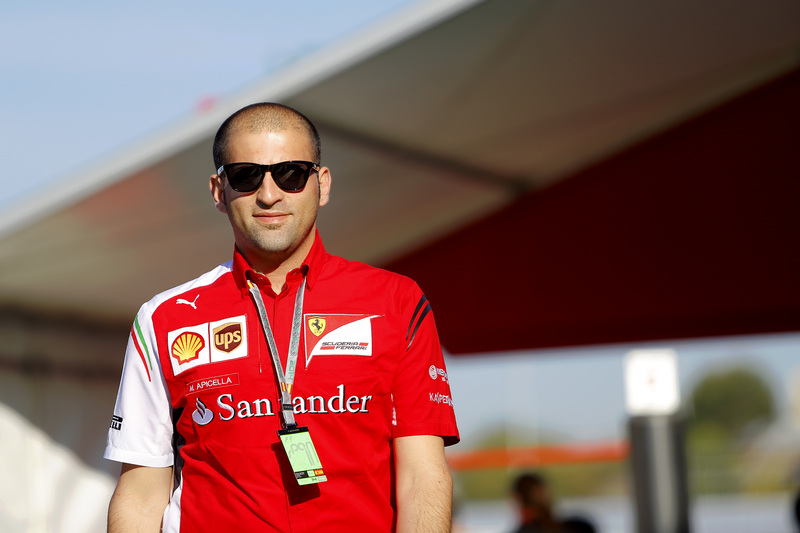 Apicella was appointed Head when Ferrari decided to reorganise the Scuderia Ferrari Clubs in 2011, even handing over responsibility for the area to Gestione Sportiva (Sports Management) in 2012. In six years, the number of active clubs and members has almost doubled. 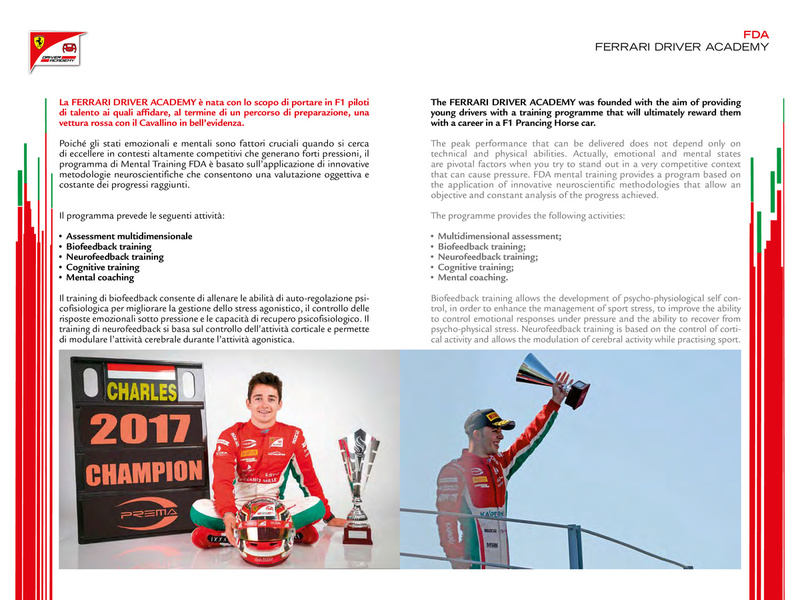 Since 2016 he has worked alongside Rivola on the new and fascinating challenge of reorganising the Ferrari Driver Academy. In 2017, he was joined by Francesca Orlandi, a native of Maranello, with the Company for almost two decades who over the years has held various positions, first in GT and then in Gestione Sportiva. As established in Article 16 of the Statute, the Operational Steering and Coordination Committee (C.I.C.O) is the body that connects Ferrari S.p.A, Ordinary Members/Scuderia Ferrari Clubs and the respective territories in which they are domiciled. It has consultative, territorial coordination and planning direction responsibilities. The C.I.C.O. is made up of both a regular and a substitute representative for each Italian Region and likewise for each Foreign State in which Clubs are domiciled.